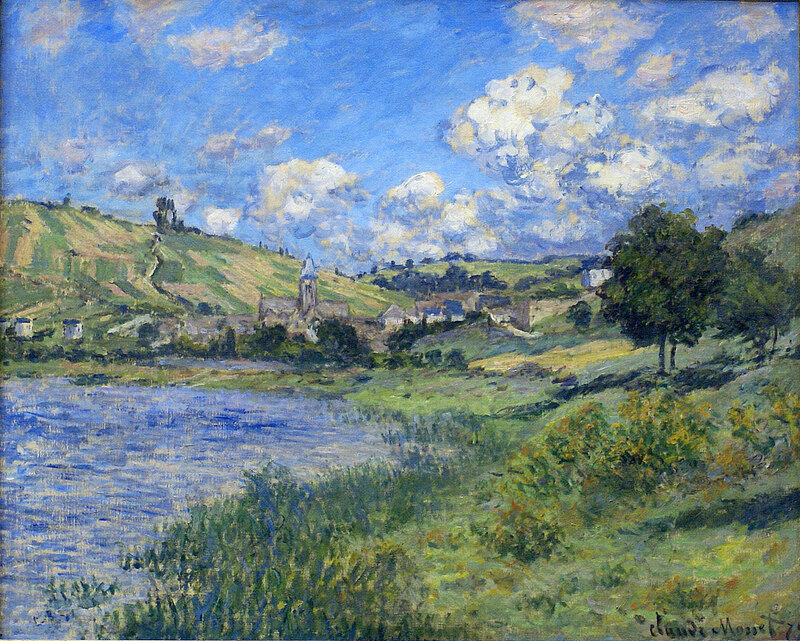 Claude Monet (French, 1840 – 1926) completed this oil-on-canvas painting in 1879. Posted in Artwork, Big Picture | tagged art, artwork, blue, clouds, countryside, fine art, greenery, Impressionism, landscapes, Monet, paintings, sky, summer, summertime, trees. The permalink.